This is a swap Judy Haney swapped with me in Ohio. 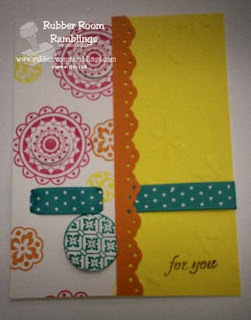 For this card she used the Circle Circus stamp set, and she used dimensionals to pop up some of the layers on her circles. I love the color combination!